The CEO and vice chair of Samsung Electronics Ltd. announced Friday that he plans to step down, deepening a potential leadership vacuum at the tech giant even as profits are soaring. 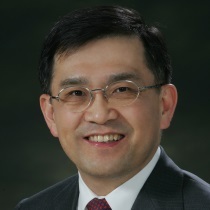 Kwon Oh-hyun, who runs the Korean firm’s chip and display division and has worked for Samsung in one capacity or another for 32 years, said in an Oct. 13 statement that he believed in light of former head Jay Y. Lee’s recent conviction for bribery charges and the related resignation of several board members, including Lee’s mentor Choi Gee-sung, the smartphone maker “needs a new leader more than ever” and that it was time for him to move onto the “next chapter” of his life. Between the conviction of its former head on corruption charges and the resignation of several board members, Samsung Electronics CEO Kwon Oh-Hyun said he felt the time had come for new leadership. The resignation came as surprise to many Samsung shareholders and analysts, according to Reuters, since Kwon had been widely expected to take on a larger role following Lee’s conviction. In fact, Kwon announced his departure the same day Samsung forecast record third-quarter profits of 14.5 trillion won (approximately $16.1 billion Canadian), driven by the memory chip business he helped develop. The quote does not appear on Samsung’s website. According to Samsung, Kwon has promised to serve the rest of his term as the company’s chairman of the board and board director until March 2018, when his current term ends, and is not stepping down immediately from his CEO or vice chair roles either, though no firm date for his departure was given. A Samsung spokesperson declined to comment on exact timing or potential successors when asked by Reuters. According to the news agency, despite being South Korea’s top conglomerate, with businesses ranging from smartphones to hotels, Samsung Group had no back-up plans following Lee’s arrest. Lee was convicted of bribing former South Korean President Park Geun-hye and sentenced to five years for bribery, hiding assets abroad, embezzlement, and perjury in August.